The most important brewer that you’ve never heard of — Will Hawkes. You can tell Michel Debus is a pretty big deal by his business card. It’s enormous, about two-and-a-half times as large as a standard card, and elegant too. Above his addresses in Alsace and the South of France, it reads “Michel R. A. Debus”, in embossed capital letters, and, below that, “Brasseur”. If the card’s size is striking, then that description heavily undersells Mssr Debus. He is amongst the most significant French brewers of the 20th century. For 30 years from the late 1960s, he was at the helm of Fischer-Adelshoffen, one of France’s most iconic brewing companies. It was bought by Heineken in 1996, but not without a struggle: Debus fought hard to prevent the sale, but the other shareholding families waved it through. Before then, though, he started the process which eventually forced Germany to accept the importation of non-Reinheitsgebot-compliant beer, and invented Desperados - acts that might make him hero or villain, depending on your perspective. Either way, he’s a globally significant brewing figure. On the day I met him, just over a year ago (I was researching an article for Beer Advocate, which should be online soon), he was dressed smartly, in his trademark lavallière, and although then 91-years-old, he was as mentally agile as many people half that age. Sitting in his new brewery, Brasserie Michel Debus/Storig, which is based in the last remaining piece of the Adelshoffen brewery, we discussed some of the highlights of his career. 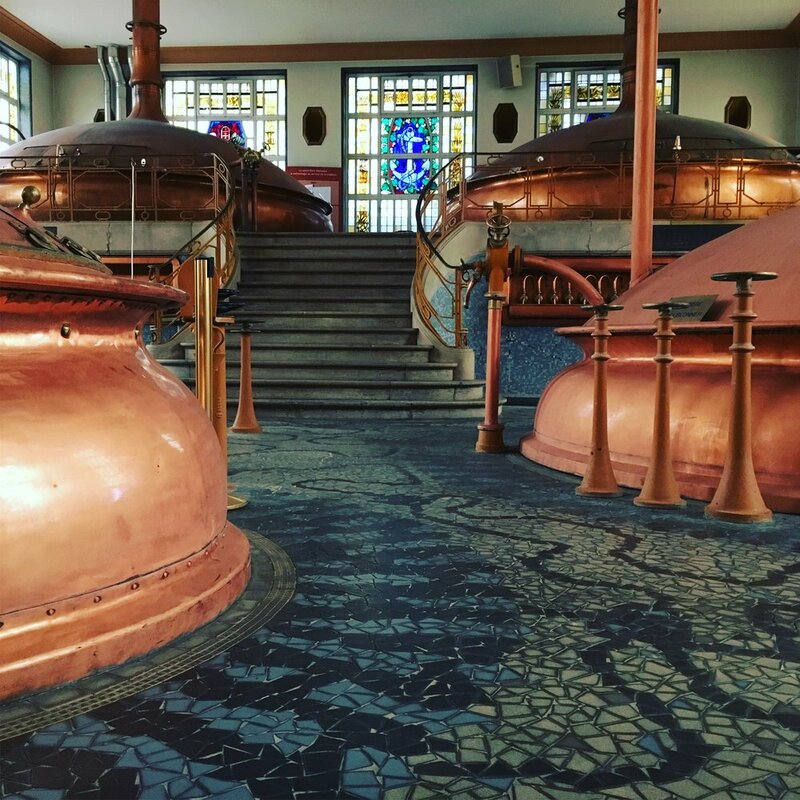 (Until the takeover, Fischer and Adelshoffen were brewed separately, about a kilometre apart, in Schiltigheim, the northern Strasbourg suburb known in France as the Cité des Brasseurs. The remaining brands are now brewed at a third Schiltigheim brewery, Esperance, which is owned by Heineken). I asked him about the extensive education his brewer father insisted on before he took over Fischer in 1966: “I had been to L’Ecole de Brasserie at Nancy, and when I got back my father said: ‘Listen, to become a brewer is easy. You have to become a mechanic! You have to understand the machinery. It’s important that you do a diploma.’ So I went to the polytechnic at Zurich. “It’s a long time ago!” he told me, before warming to his subject. According to him, some German brewers weren’t honest about what they were using to make their beer. “I had proved that the Reinheitsgebot wasn’t kept by the German brewers. They said that they did, but in fact they didn’t. “The first to be launched, the first Bières aromatisée, was Adelscott,” he says. “One day I went to Scotland, to see the breweries and distilleries, with my Alsatian colleagues. And on the coach, I asked our guide, ‘Which is the peatiest whisky?’ He said: ‘It’s Lagavulin’. I asked the driver, and he said the same. “I bought a bottle of this, and [when I got back] I started to smoke the malt. It worked really well. I put it on the French market. We called it Adelscott because it was a bit Scottish! That went well, so after we put rum in beer: bière au rhum. That certainly seems to be the case in Alsace. Just one of the old breweries remains independently-owned, Meteor, out of perhaps 40 that made Biere d’Alsace a mark of quality after the war. Kronenbourg, whose name derives from a suburb of Strasbourg (which is actually called Cronenbourg; the K was chosen because it sounded more Germanic, or so the story goes) is owned by Carlsberg, Fischer by Heineken, and Licorne by the German group Karlsbrau. Schiltigheim has more than its fair share of ghosts. There’s Fischer - whose bulky malthouse guards the entrance to the town, of course, and Adelschoffen, which is mostly now demolished. There’s Perle, now revived and brewed on the other side of town, which shut in the 1970s. 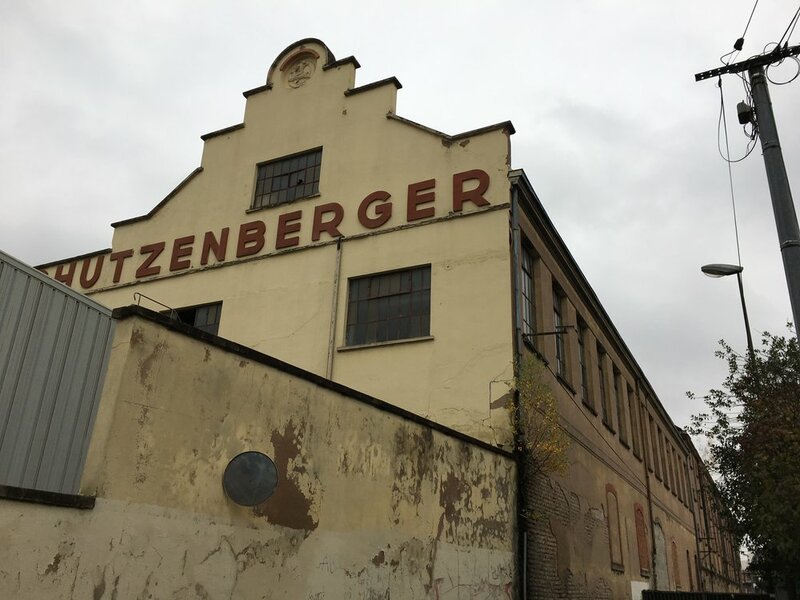 Most poignant of all is Schutzenberger, shut in 2006 but subsequently revived by family president Marie-Lorraine Muller, who had plans to re-open the still intact but mouldering brewery. When she died in 2016, though, those plans appear to have gone with her. Its bar in the centre of Strasbourg has sat sullen and empty for many years. Amid all this, though, a revival has begun - a revival that includes Mssr Debus’s own brewery, with its 1000-litre brewkit and restaurant managed by his granddaughter Jade. “I couldn’t just sit at home, without doing anything,” he says. “I was 70 when Heineken bought Fischer-Adelshoffen. That’s the reason I created this brewery. My friends and colleagues told me to use my name: they said, ‘it’s good that you continue the tradition of your family’.” And the tradition of Alsace’s beer country, too. Why does craft beer think it can save the earth?